Get ready for one EPIC movie. “Wonder Woman” comes to theaters June 2 and Thisfunktional has a great way for everyone to get excited. 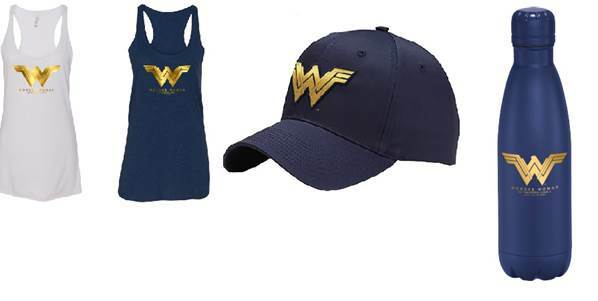 Thisfunktional has an opportunity for three people to win a “Wonder Woman” prize pack – including 1 WONDER WOMAN Hat, 1 WONDER WOMAN Insulated Water Bottle, 1 WONDER WOMAN Women’s Tank and 1 WONDER WOMAN Tote Bag. I will let winner be surprised when they receive their copy. Disclaimer: 3 winner will be chosen. Contest runs to May 30, 2017. Winners will be notified on May 30, 2017 with instructions on how to claim your prize. No purchase necessary. Prize provided by 42 West. Only open to the U.S., no PO Boxes or international addresses. “Wonder Woman” hits movie theaters around the world June 2 when Gal Gadot returns as the title character in the epic action adventure from director Patty Jenkins. Joining Gadot in the international cast are Chris Pine, Robin Wright, Danny Huston, David Thewlis, Connie Nielsen, Elena Anaya, Ewen Bremner, Lucy Davis, Lisa Loven Kongsli, Saïd Taghmaoui and Eugene Brave Rock.Before she was Wonder Woman, she was Diana, princess of the Amazons, trained to be an unconquerable warrior. Jason Fuchs, based on characters from DC. Wonder Woman was created by William Moulton Marston. Joining Jenkins behind the camera were director of photography Matthew Jensen, Oscar-nominated production designer Aline Bonetto, Oscar-winning editor Martin Walsh, and Oscar-winning costume designer Lindy Hemming. The music is by composer Rupert Gregson-Williams. Warner Bros. Pictures presents, in association with Tencent Pictures and Wanda Pictures, an Atlas Entertainment/Cruel and Unusual production, “Wonder Woman.” The film will be distributed worldwide by Warner Bros. Pictures, a Warner Bros. Entertainment Company. This film has been rated PG-13 for sequences of violence and action, and some suggestive content.